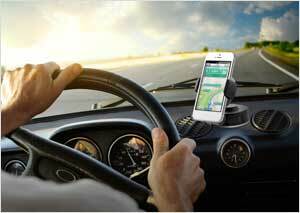 The Easy Flex 2 Car Mount Holder Desk Stand for iPhone 5, 4S, and Smartphones is unlike any smartphone holder. 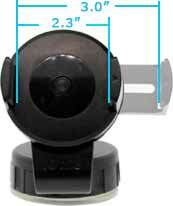 Its small and compact structure makes it the perfect mount for everywhere from your car to your desk. 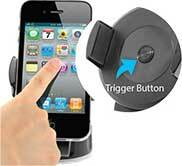 It has an easy one touch feature that allows for mounting of a device with just the push of a finger. Thanks to its super strong sticky gel pad, the Easy Flex 2 Car Mount sticks securely to most smooth flat surfaces, as well as most non-curved surfaces, and yet is still easily removable. No matter if your phone is protected by a skin or a case, the Easy Flex 2 grips securely onto your device so you can mount with confidence. 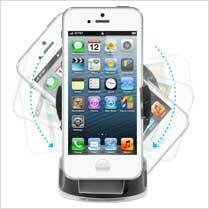 iOttie sticky gel pad guarantees the mount will stay put on most smooth and textured surfaces. 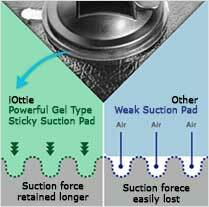 The sticky gel pad is so strong that it will even adhere to most curved dashboards. The sticky gel pad is made with a super strong sticky adhesive, which when locked, will vacuum into place and will not move. If you feel like the gel pad is losing its grip, just simply wash the suction cup with warm water and let it air dry, that will bring the suction back to mint condition. The iOttie One Touch locking feature helps place your phone efficiently into the car mount without causing any struggle. 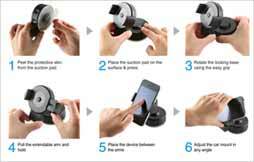 It makes it easy for the user to place the phone into the car mount with just the push of a finger. 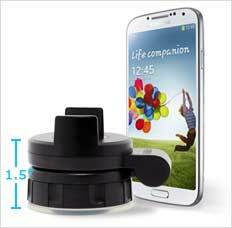 Between its 130?flexible neck for left to right viewing, its 360° rotating top mount, and multi angle rotations, optimal viewing of your device is possible and easier at any perspective. The iOttie Easy Flex 2 is very small and compact meaning it will take up minimal space on the surface that you decide to mount it on. It is small enough for you to fold away when it is not in use. It is also small enough to fold up and put it in a bag for travel purposes. Clean the surface where the car mount will be placed. 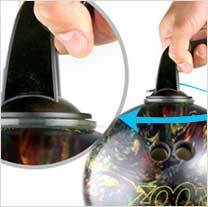 Simply remove the plastic covering on the bottom of the gel pad. 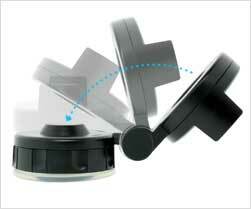 Attach to the location you would like to stick the mount. Rotate the locking base in directions of the arrows (located above the gel pad). Rotate the locking base in directions of the arrows (located above the gel pad). Pull the tab backwards. 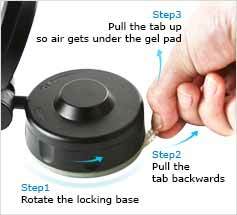 Pull the tab up so air gets under the gel pad. Gently remove.